For those trying to recognize and understand the fourth way's idea of centers or functions, this note may prove useful in describing the functions and their relationships in a different way. For those already familiar with the functions, it no doubt offers less, but perhaps will lead to an insight or two. The following is much like G's carriage-horse-driver analogy. The analogy is this: We are like boats. Our body is the boat itself, with its characteristic shape and consequent strengths and weaknesses. Our emotions are the wind which fills its sails. And our minds, charged with adjusting the sails and the rudder to move in the direction intended, are asleep at the wheel, dreaming. Our boat with its wind and pilot is our fate, essence. How we deal with it depends on how well we know it. 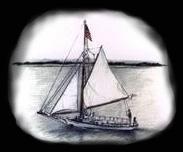 We may be a boat designed for speed, or long voyages, or perhaps designed to operate well in shallow water, or with little wind or a lot of wind. Many, many different kinds of sailboats, many different essences. Nonetheless, sailboats fall into one of several types, as do our essences. Additionally, we tend to be becalmed. When the wind rises, that is, when emotions increase, we try to avoid it, we reef our sails. And so go nowhere. But we have an ability to use the wind—in fact, that is our greatest ability—but we have to learn it. We begin with the non-expression of negative emotions. It isn't the way the wind is blowing that determines the direction you sail your boat, but the set of the sail that catches the wind and, with a pilot watchful and active, takes you where want to go.